Wiretaps heard Wednesday at Quebec’s corruption inquiry, the Charbonneau Commission, unveiled damning conversations between leading members of the Rizzuto Mafia family and construction kingpin Tony Magi, along with a number of other players involved in transforming a former Montreal industrial building at 1000 de la Commune into luxury condominiums. At the time, contractor Tony Magi was experiencing serious financial difficulties with the 1000 de la Commune project. With only 60 days to pay a sizable private investment loan, Vito Rizzuto entered the picture, offering his help on making sure the project came through. Charbonneau Commission investigator Éric Vecchio walked the commissioners through hours of wiretapped conversations dating as far back as 2002 in which Rizzuto is heard negotiating relations between known associate Magi, businessman John Norman “Jonathan” Myette and other players. However, Vecchio said that even as Rizzuto got involved in ensuring the completion of 1000 de la Commune project, he never invested his own money. 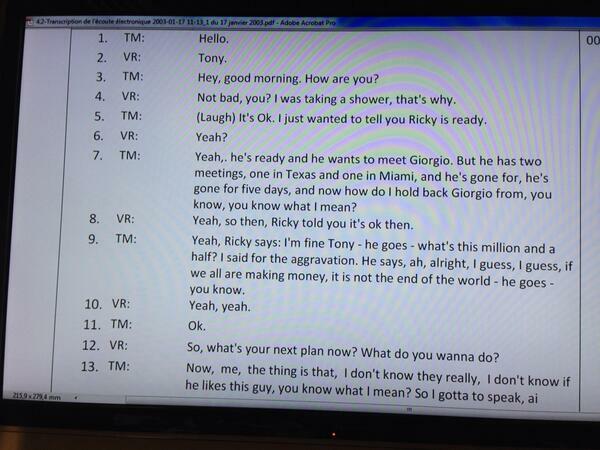 Instead, Vecchio said, Rizzuto pulled the strings on financing to gain control of Magi. The 1000 de la Commune condos have been in the spotlight at the commission before. Last year, alleged links were made between several unit owners and organized crime. Vecchio, a Montreal police detective and former national coordinator on Italian organized crime for the Canadian government’s Criminal Intelligence Service Canada department, has appeared at the inquiry before. He worked on Projet Colisée, the RCMP-led crackdown on the Mafia. 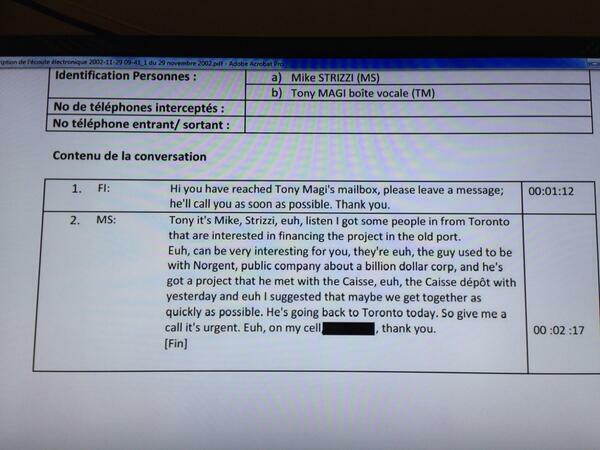 In tape gathered under Projet Colisée from Jan. 4, 2003, Rizzuto and Michel Argento of Paramount Paving are heard discussing that Terry Pomerantz of TRAMS Property Management and a certain Giorgio Tartaglino would finance Magi’s project. In return, Magi was required to give up 18 per cent of the shares, split evenly among Rizzuto, Argento and Tony Renda, a business partner of Tartaglino’s. Vito's son, Nick Jr. (Nicolo), is heard on later wiretaps. Vecchio is the final witness this week before the commission breaks until April 8 — the day after the Quebec election. Vecchio called Rizzuto a "man of compromise" who was more interested in mediating and playing referee than relying only on violence. 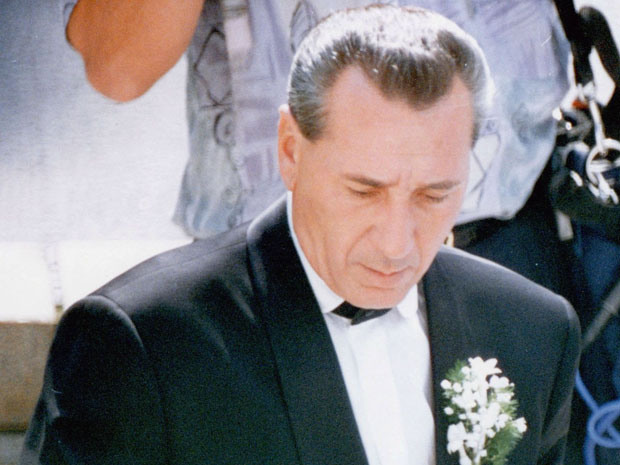 The investigator says Rizzuto's ability to keep everyone happy explains his long reign in local organized crime.